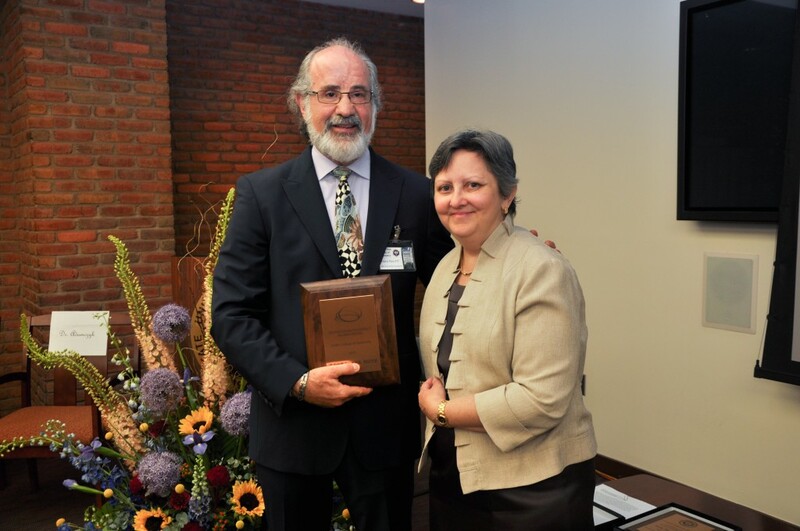 On June 21, 2013, Dr. Sanet received the Distinguished Residency Alumni Award from the SUNY College of Optometry. Since the inception of theSUNY Residency Program in 1974 there have been 763 Optometrists who have graduated from the program. Dr. Sanet is only the second optometrist to receive the award. The award is presented to a SUNY Residence graduate for outstanding contributions to the profession of Optometry. El pasado 21 de Junio, el Dr Sanet recibió el premio en la prestigiosa universidad de Optometría de SUNY, una distinción especial de cuando fue residente en dicha universidad en 1974, entre 763 optometristas que se graduaron con él. El Dr Sanet es el 2 optometrista en recibir este premio y se lo ha otorgado por su contribución a la Optometría.